It’s not cheap but, the Anne-Claire Petit Vintage Turntable is hard to resist. 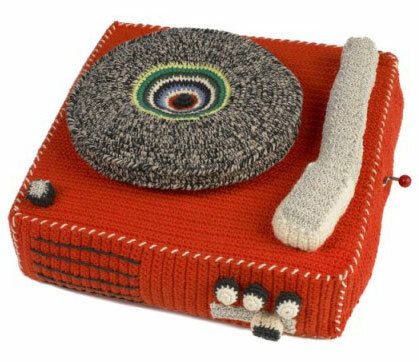 It’s a knitted record player with a music box inside that plays ‘My Way’. Like all Anne-Claire Petit products the turntable is hand crocheted in Northern China and it’s this unique manufacturing process which justifies the £90 cost. This is a truly charming and original accessory for a lucky child’s bedroom. Take a closer look here.